Along their way at various ports these historic Ships give tours (for a small donation of $3) of the ships, often with people in costume and focused on education. And for a larger price they also sell tickets for rides on the sailing vessels. 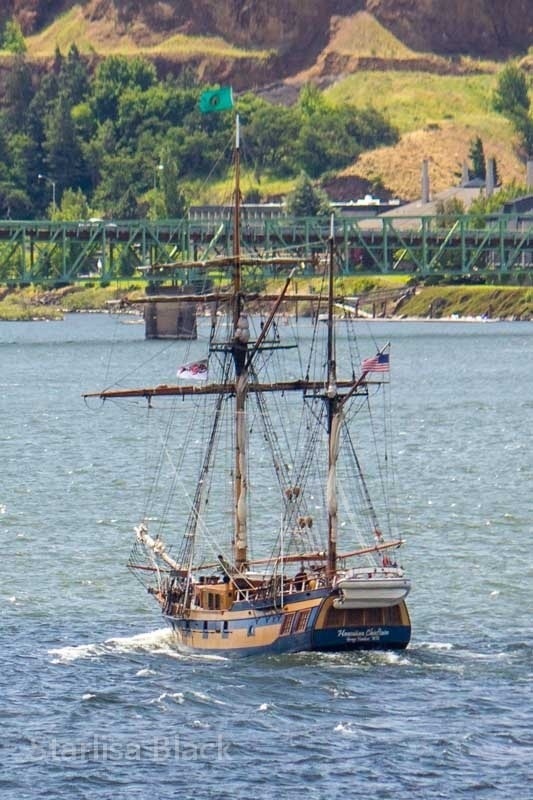 In these images, the ship with sails up is the Lady Washington, and the other ship is the Hawaiian Chieftain. 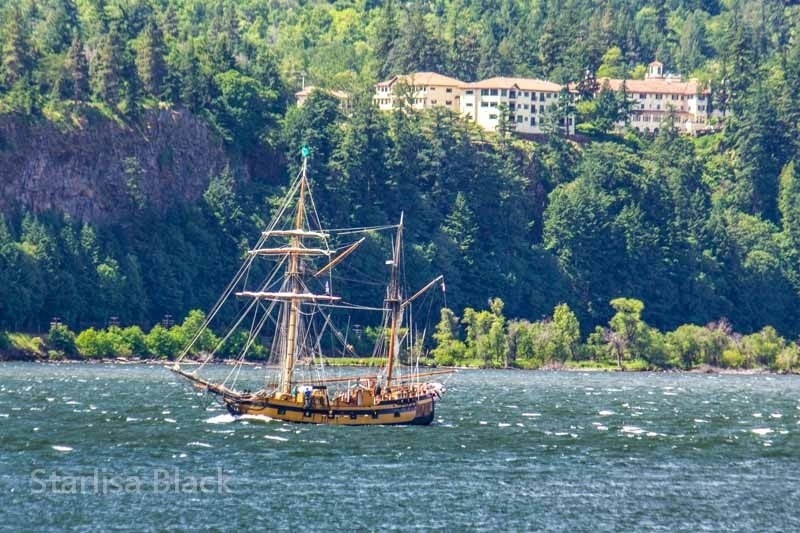 They are a joy to watch sail! Thurs June 7 in Arlington, Friday in Umatilla, and a mock battle in Pasco Saturday afternoon. Also please do check out the links on the right-hand side of my blog and my menus. My photography can be found for purchase at smug mug, Or by contacting me directly at starlisa.black@gmail.com. There are also links for my Facebook and Flickr sites. I currently have a small show Amy at North Shore Café for a little bit more time. I have pictures on display at skyline Hospital in the waiting room for the visiting physicians, as well as one in the lobby. North Shore clinic near the hospital also has several of my images, Some of which are for sale along with the ones in the hospital. If you are in the area I may be set up half the day on Saturday at the new Saturday market in Lyle, Washington. Starting at the end of June for the rest of the summer I will often be found at Trout Lake Saturday Market with my books, cards and prints. I do calendars as well although I am currently out for 2013 and have not yet designed calendars for 2014. Hope to see you around somewhere! Oh and by the way I am currently having a sale for a few days at North Shore Café in White Salmon, Washington. You can find all of these links available on my about page. 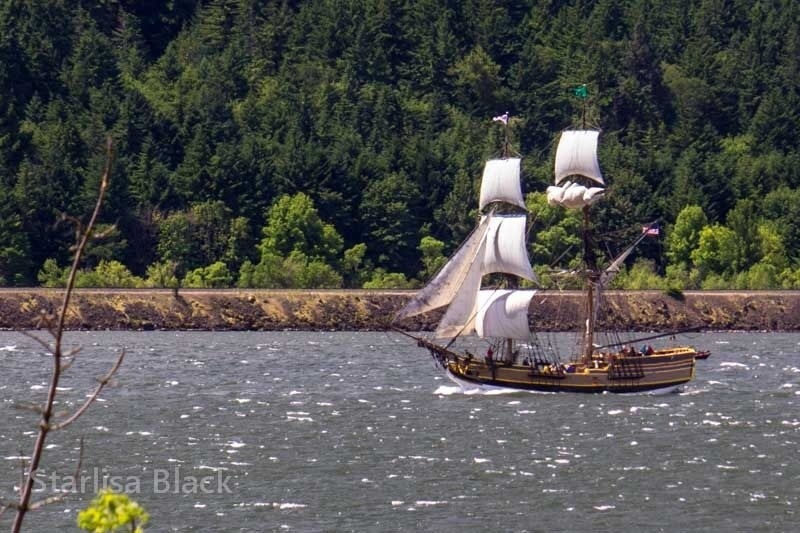 This entry was posted in Columbia River Gorge and tagged "Starlisa Black Photography", boat, Columbia River, CRGNSA, Gorge, Hawaiian Chieftain, Lady Washington, sailing, Sailing Ships, sailing vessel, sails, Starlisa, Tall Ships, under sail. Great shots! 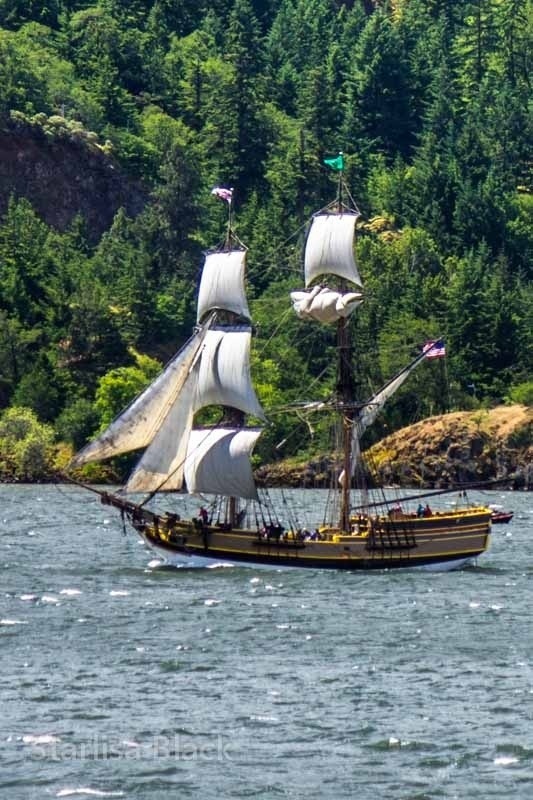 I happened to be up on Rowena Crest looking down upon the ships that day. I had no idea that they were on a voyage. Lucky me!